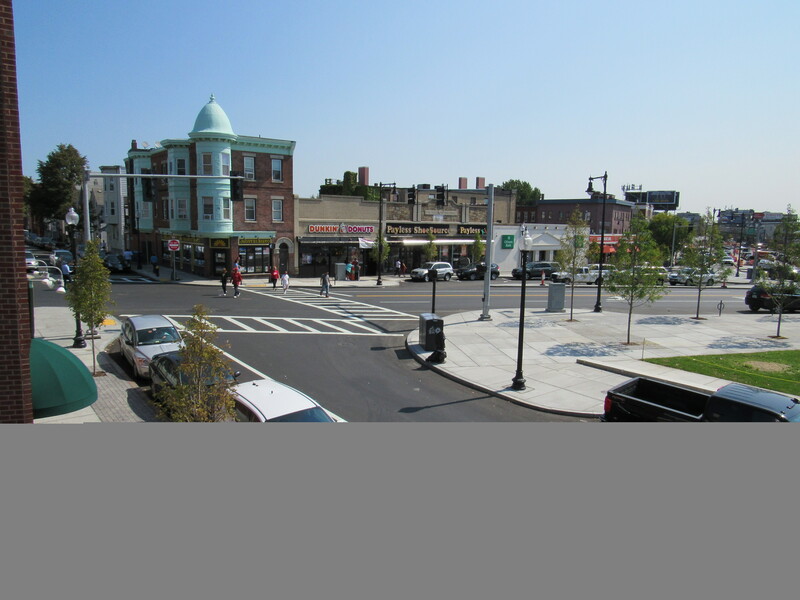 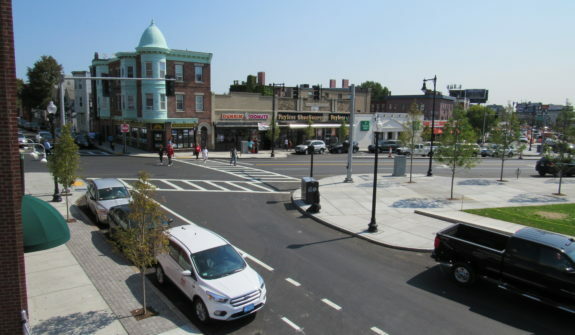 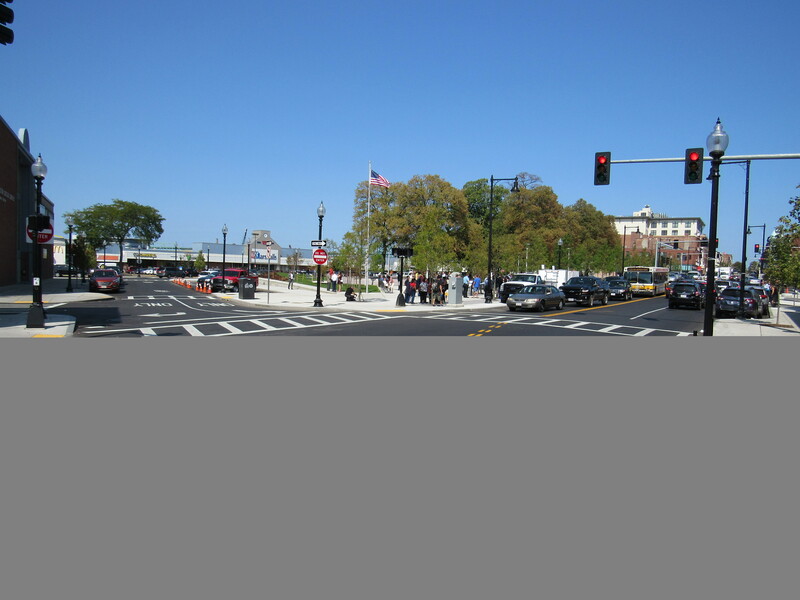 HSH worked with the Boston Transportation Department, Parks and Recreation Department, Public Works Department and the Boston Water and Sewer Commission on the design of roadway, drainage and streetscape improvements in Central Square as part of an overall revitalization. 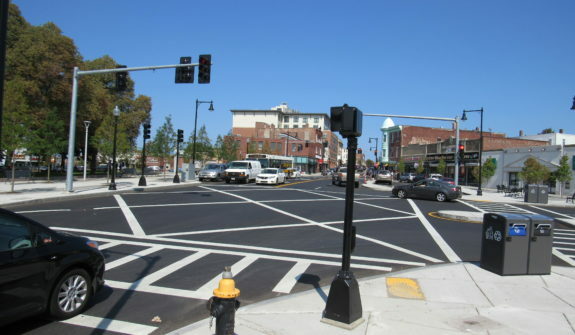 Our multi-disciplinary team included survey, public involvement, roadway design, signal design, stormwater management, urban design, and landscape architecture. 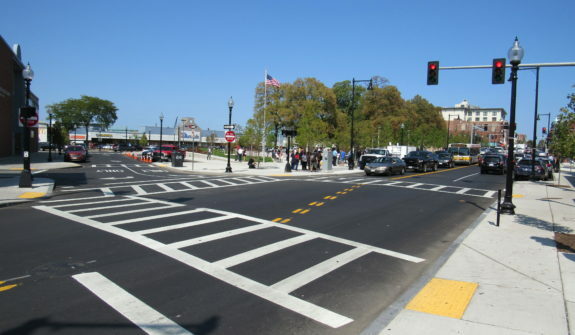 The Complete Streets project provided bike accommodations and reorganized traffic to improve flow and create a safer environment for cyclists; shortened pedestrian crossings by narrowing wide streets around the park; expanded the park and widened sidewalks reclaiming more space for pedestrian use; included green stormwater infrastructure elements such as permeable paving and infiltration trenches; and provided back-in angle parking; which is safer than head-in angle parking. 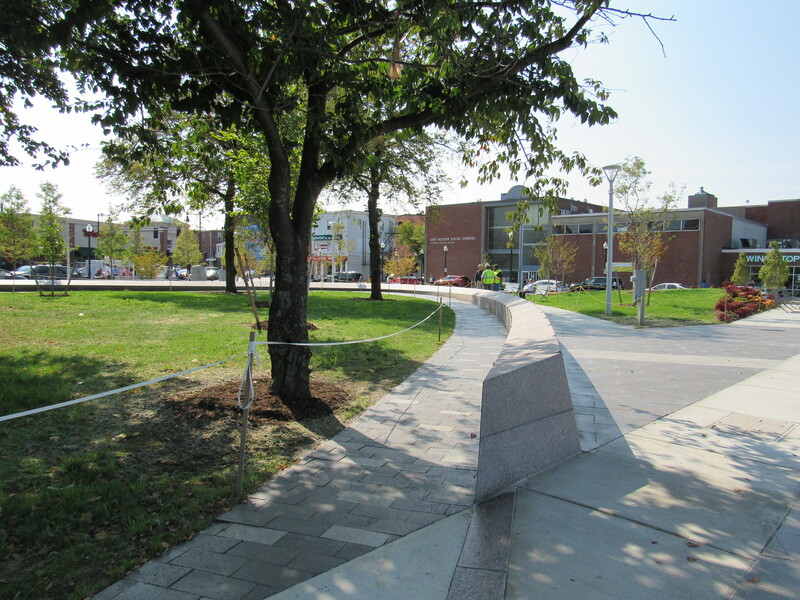 The Project was selected as a pilot project for BWSC to evaluate green infrastructure. 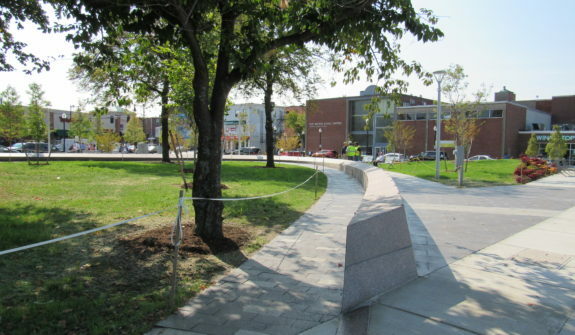 Some of the elements incorporated into the project include, porous cement, porous asphalt, permeable pavers, and stormwater infiltration systems. 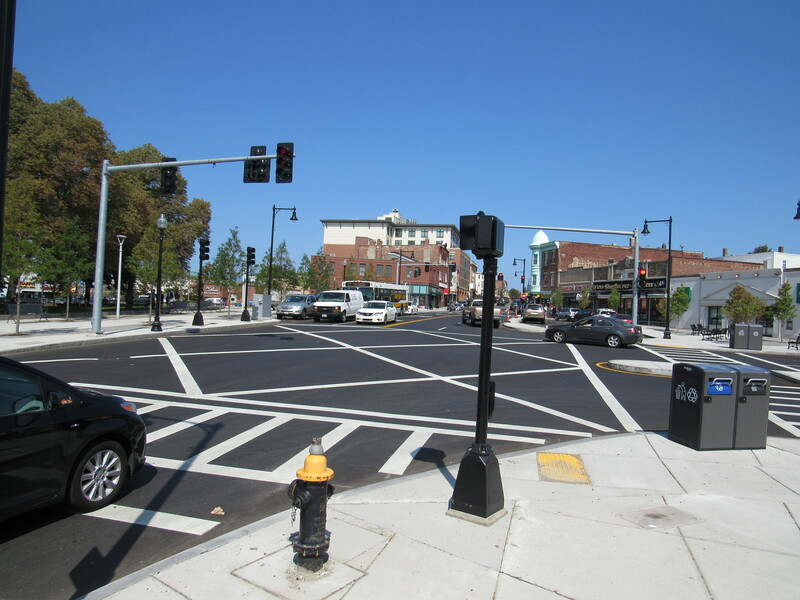 HSH received the Bronze Award from the ACEC/MA Engineering Excellence award in November 2017.